Here’s week two (Feb. 6 – 12) listed in story-author-source format. * An asterisk indicates a story I particularly liked. Twenty-one stories in seven days. I’ve slowed just a little, but in my defense some of the stories were a bit long. Then too, the sun came out, so I was outdoors just a bit. Also, we’ve been working on a jigsaw puzzle, which does eat up time. It seems I’ve been reading The Black Lizard Big Book of Locked Room Mysteries forever. In truth, it’s probably been a year or more, because: a) it’s a really thick book and b) I read a few of the stories and then set it aside for something else, and get sidetracked, as we all do. It’s always nice to get back to it, and it’s just possible I’ll finish it this month (no promises, though). It has been a long time since I read any Hemingway. I didn’t like the first two stories in the collection very much, as I don’t much care for hunting or bull fighting. Then I came to “Snows of Kilimanjaro”, and it really grabbed me. The style, so typical and iconic it’s often parodied, but so effective. I read the story as an assignment in high school, and again on my own in my late Twenties, and thought, yes, okay pretty good. But that was more than 40 years ago. My viewpoint is different now, and the story was very affecting. The next morning I re-read it, a rare thing. The Jurassic Chronicles collection seems to have been front loaded, with fewer stories I liked as it went along. I enjoyed the Allingham story in Crimson Snow, though I’d read it before, despite the rather obvious plot it’s a fun story. As far as I’ve read in the rest of the anthology, it’s quite nice. I’m really enjoying reading lots of short stories. I hope everyone else who is joining in Short Story February is liking it too! This entry was posted in Books & Reading, current reading, Fantasy, Fiction, literary fiction, Mystery, Science Fiction, Short Stories, Short Story February. Bookmark the permalink. I have been reading essays by Joan Didion if that counts. Also COMMONWEALTH by Ann Patchett. The O’Hara book sits there but I didn’t pick it up this week. I hadn’t thought of it, but certainly essays count. I’m not familiar with at Pratchett, but my guess is you’ll enjoy it. The O’Hara can get daunting if you try to ingest too much st a time, good as it is. Great list, and not just because I’ve read a lot of them. That locked room book was excellent overall, and many people think Hemingway was at his best in the short form. I’m continuing to read in the three huge story collections (one of each every day): Texas writer William Humphrey, F. Scott Fitzgerald, and Saki (H, H, Munro). The Fitzgerald has all of his stories in chronological order, and though the early ones may be apprentice work, when I realized that he was 14 or 15 when they were published I cut him some slack! I hadn’t read Saki until I discovered him in a collection of short shorts, but after reading a bunch of his Reginald stories I can definitely see where he influenced both P. G. Wodehouse and Noel Coward. They are a cynical hoot. Total for the week: 28. Both you and George read the locked room anthology in no time, but like all thick books, especially short stories, I seem to crawl through them. Now I’m moving to books in the rotation I haven’t gotten to yet, so it’ll have to wait until I come back around to it for more. I have my mothers’ copy of The Short Stories of Saki with introduction by Christopher Morley (1958 Modern Library), and am pretty sure I’ve read it through. I just took it off the shelf and it’s pretty musty. Inspired by you, I may read a couple of the stories. It begins with 15 Reginald stories, followed by 15 Reginald in Russia stories. Then the Clovis stories, of which I have no memory. Read Clifford Simak’s “All the Traps of Earth” last night. Simak is a favorite of mine. I’ve found Simak to be uneven, but his better stories a very good indeed. I don’t remember that specific story. The term “short story” is a misnomer for some of these stories: they’re almost 100 pages! So you finished the other anthology you were working on a week or so ago? A 100 page short story is a novelette, isn’t it? Nice list of stories. And speaking of Simak…someone (apologies to whoever it was) recommended his WAY STATION. I was, frankly, disappointed. I liked the premise and it was set up well, but it was 95% narration and just didn’t work that well for me, That was a library ebook. Another download (this was a purchase a while ago) that was OK but not up to the rest of the series was James Swain’s WILD CARD. This was the ebook only “prequel” to the Tony Valentine series, It was set in 1979 when he was still a cop in Atlantic City (and his troublesome son Gerry was only 13). It was the story of how he got involved in casino cheating scams in the first place. The second half was a lot better. Lastly was one I bought down here, the latest Insp. Salvo Montalbano book by 90-year old Andrea Camilleri, A VOICE IN THE NIGHT. There are two cases – a supermarket robbery followed by the seeming suicide of the store manager, and a brutal murder of a young woman in the apartment of the son of the President of the province. As usual, Salvo is up to the job, and he eats well. I borrowed another SF book from the library that sounded good but we’ll have to see. An odd thing is, I am signed in to the hotel WiFi and have no problems with that. Yet, I am not able to download books from Amazon to the Kindle here. I have to sign in when we go to Starbucks in order to download anything. I don’t know why that is, but I had the same problem last year. I finished The Snack Thief in January, and thought it was just okay. Not as good as the first couple, and certainly not as good as Maltabano’s Last Case. I’m guessing the hotel has some restrictions on downloading files, or files over a certain size. Did you ask them? They seem relatively clueless. As long as you can get on WiFi you’re on your own. I downloaded it here at Starbucks with no trouble. Nice list, Steve, and a lot of reading. Good job on the short stories, especially. How was that sequel to War of the Worlds? Got kind of bored halfway through. 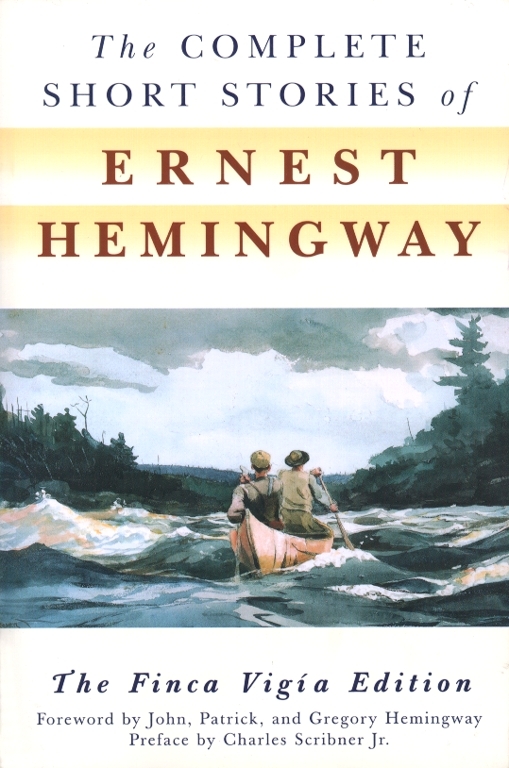 I do like the short happy life by Hemingway, but Snows of Kilimanjaro is certainly one of my favorites by him. No short stories this week, something rather unusual for me. My FFB was Edgar Rice Burroughs’ WIZARD OF VENUS AND PIRATE BLOOD, two books found among the author’s papers after his death. I also read A WANTED MAN by Lee Child — another Reacher novel. This one points out the dangers of hitchhiking, as well as the danger of picking up Jack Reacher as a hitchhiker if you’re one of the bad guys. This week I went through four more Roald Dahl books. FANTASTIC MR. FOX and THE TWITS were juveniles; one (naturally) about a pretty smart fox, and the other about a very disgusting couple who meet a very deserving end. ROALD DAHL’S REVOLTING RECIPES is just that — instructions on how to make some of the very disgusting food that Dahl had invented for his stories. MORE ABOUT BOY: ROALD DAHL’S TALES FROM CHILDHOOD turns out to be an expanded edition of his 1986 autobiography BOY. (Dahl, surrounded by sisters and one “ancient brothe,”‘ was known as Boy when young.) Sometimes funny, sometimes terrifying, the stories recollected here revolved mostly around two topics: corporal punishment in the schools he attended and his love of sweets. I assume both topics got short shift in his follow-up autobiography, GOING SOLO, which covers his time as a WWII pilot. I hope to get to that book in the next few days. Much of my week has been taken with bringing the new dog outside every hour or so, something I’ll have to do until she gets it right. The rest of the time she’s tucked in close to me on the sofa while I read. On the docket for the coming week is (as mentioned) GOING SOLO, another Reacher novel (PERSONAL), a couple of Spenser novels by Robert B. Parker, and whatever Kids Go Wrong book that will be my FFB this time around. Also lurking about waiting to be read is Megan’s latest novel and UNDERGROUND AIRLINES by Ben Winter. Have a great week, Richard! I remember when hitchhiking was a reasonable way to get someplace, I did it when I was in college, almost always got rides and people were nice. I doubt these days anyone picks up hitchhikers. I’ve read those two Boy books, and Going Solo, and enjoyed them all. I have yet to read most of the other Dahl books you’ve been reading. I couldn’t think of a kids go wrong book, so I’ll be skipping FFB again this week. Val McDermid’s OUT OF BOUNDS is moving along much more briskly and I’m enjoying it–although only about half way through. I’m not familiar with Tina French, but if you’re a fan, I’ll look into her writing. Barbara is a huge fan of McDermid, but wasn’t aware of a new one. She just put a hold on it at the library, though she says there’s a long line of requests ahead of her. Okay, I’m definitely going to have to read some Saki now. I put the book into the rotation where the Scalzi was, since I’ll finish that this morning. Richard, your list of short stories keeps getting better. I haven’t read Hemingway in some years though I do have “The Complete Short Stories.” This prompts me to read some of them. I’m curious about “Ugly” by Laxmi Hariharan. I’m just about around the rotation of the 12 books I’m reading from (plus a couple ebooks) so the sources are due to repeat. Glad you’re enjoying watching our reading, hope your read a short story yourself sometime this month.